Excess moisture or water is the single greatest contributor to bacterial, dust mite and mold problems. Microbial amplification can lead to potential health problems as well as the destruction of building materials. In order to assess and monitor the moisture load in your building, Environmental Inspection Services utilizes state-of-the-art instrumentation to measure humidity levels in the air, to assess the moisture load in building materials (drywall, concrete, ceilings, wooden framing, carpet), and to identify microbial reservoirs and problem areas. We also offer advanced infrared thermography as a tool for detecting leakage pathways and areas of moisture intrusion. In addition to looking for common sources of moisture intrusion, we inspect area drainage, HVAC/ventilation systems, the attic area, sub area (if available) and water-using appliances. As we wish to avoid the appearance of conflicts of interest, we do not perform mold remediation. Our only interest is in diagnosing your mold problems and offering common sense and cost effective solutions for water damage. I have black mold, the bad kind. What do I do? There is no good kind of mold. Environmental Inspection Services mold testing service identifies and quantifies all mold problems. We tell you whether your mold and/or moisture problem is something that can be cleaned up by you or a handyman or if professional remediation is needed. Can I clean the mold up with bleach? There are specific protocols to follow when cleaning mold. Simply washing it with bleach will not take care of the cleanup nor the underlying problem that created the environment the mold needed to grow. In fact, bleach will leave behind an unpleasant chemical smell and unsightly residue. Who can clean the mold up? 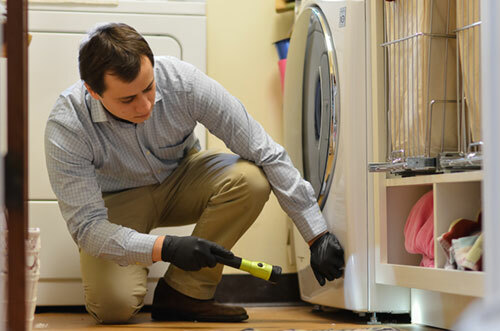 The service Environmental Inspection Services offers identifies and quantifies the problem and determines whether it can be repaired by you or a handyman or if professional remediation needed. Professional remediators will follow strict protocols to make sure all the mold is removed and that none of the spores contaminate the clean parts of your home. Why can’t I just have a mold cleaning service inspect for mold for free? Why hire you? 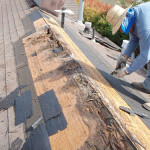 The service we offer is an unbiased, professional inspection. We are not selling you any mold cleanup. We simply let you know the extent of the moisture/mold problem and suggest proper ways to clean it up. If professional remediation is needed, Environmental Inspection Services can write the Remediation Plan, which the remediation company will use as a blueprint/ guide for their remediation. When their work is done, we can return and test to make sure none of the clean parts of your home have been contaminated with mold spores. What mold inspection services do you offer? Real Estate: Environmental Inspection Services performs many escrow inspections for mold. We will quantify any mold problem we discover and let the buyer know exactly what is needed to have it remedied. If we thoroughly inspect for mold and moisture problems and do not find any, we’ve put the buyer’s mind at ease. Homeowners: When homeowners have water damage or a leak, or notice a moldy odor, or feel symptoms that cause them to worry about mold, Environmental Inspection Services can help. We will do a thorough inspection to make sure they have a healthy home and to answer all their questions. If we find mold or moisture damage, we will pinpoint the problem and guide them in its cleanup or professional remediation. My doctor says I am allergic to mold. Can you test my home for my allergens? Yes. When Environmental Inspection Services performs mold testing, we will insist that the lab identifies specific types of mold. My contractor tells me he can do it for half the price. Maybe, but he can’t do it half as well. Environmental Inspection Services offers professional mold inspection to precisely quantify the problem and provide you with the industry standard that any repairs must reach. We have been successfully performing these inspections for 25 years. We believe in a commonsense approach to environmental hazards. With years of experience in both construction and inspection, we are able to assist you in solving your home’s environmental problems in a uniquely comprehensive and cost-effective way. 1311 Marine St. Santa Monica, CA. 90405. 1724 Acton St. Berkeley, CA. 94702.